Walk through the streets of Luang Prabang and find ornate golden temples sitting among lush green palm trees and orange clad monks. Children and stray dogs play next to street vendors selling fresh produce and southeast Asian delicacies are complemented by the gentle hum of the Mekong river. Planning your special day can be overwhelming, until you meet Kathryn. She is the talented woman behind Paper and Pine Company and she has mastered how to make your wedding or special event unique and tailored to you. Paper and Pine specializes in wooden signs, stationery and dĂŠcor to fit any event â&#x20AC;&#x201D; big or small. ENTREPRENEUR Dotting Every i and Crossing every t: Paper and Pine Co. Walk through the streets of Luang Prabang and find ornate golden temples sitting among lush green palm trees and orange clad monks. Children and stray dogs play next to street vendors selling fresh produce and southeast Asian delicacies are complemented by the gentle hum of the Mekong river. Every scene in the city feels serene and playful and dripping with color. Southeast Asia has long been a favorite destination for backpackers, luxury travelers and anything in between for good reason. In addition to being a haven for Buddhist culture, this part of the globe offers some of the most stunning landscapes in the natural world. Although, anyone who has gone in the last few years may have gotten overwhelmed by hordes of tourists at Angkor Wat, or by being stopped every ten seconds by an aggressive vendor trying to sell a massage or a tour or a t-shirt in Chiang Mai. Laos is a peaceful respite in this sense. It doesnâ&#x20AC;&#x2122;t offer any of the big world famous tourist sites, like the ruins of Sukhothai or the beaches of Bali. It does offer the same beautiful scenery, villages, islands and temples found in the rest of Southeast Asia and with a lot let less tourism and a lot more of the local culture intact. Just outside Luang Prabang city are the Kuang Si Falls — a multi-tiered waterfall and swimming hole surrounded by tropical forest. The water is clean and warm with a surreal turquoise color. Sunlight filters through the trees onto tourists and locals diving off branches into the pools of fresh water. Traveling north of Luang Prabang, I could hike through the villages of the indigenous Lao people. Along the trails I spotted raised wooden huts, roaming farm animals and friendly villagers farming, cooking and playing music. Further down the Mekong is the Laos capital of Vientiane. It’s a city of Buddhist temples and French Colonial architecture that’s worth getting lost in. A 20 minute Tuk Tuk ride outside the city brought me to Buddha park — a terrain of beautiful and sometimes bizarre Buddhist and Hindu sculptures, representing gods, animals, and demons. At one end of the park the largest sculpture is a circular piece of architecture with a face on one end. I crawl into the mouth and up the staircase to a viewpoint where I can see the whole park. A giant reclining Buddha is on one end while the rest of the park filled with a seemingly random assortment of smaller buddhas, elephants, monkeys and a number of other statues that are unrecognizable to me. The place feels otherworldly. Over the next few days, I continued to travel south to Si Phan Don (also known as the four thousand islands), a lesser known destination bordering Cambodia. The area is very remote, even for Laos. A bus ride to a shuttle, to a short boat trip took me to Don Det where one can find a cheap riverside bungalow for less than 10 U.S. dollars a night. Wander around the island and visit the waterfalls, rent a bike for one dollar or get an inner tube and float down the river letting each tiny island pass by. Go kayaking and watch the pink dolphins swim at sunset. Then, fill up on noodles, pumpkin burgers, and Beerlao â&#x20AC;&#x201D; the national beer. During my time in Laos, I met a lot of friendly locals as well as Westerners who came here as tourists and just stayed. If I spend too much time here, I might be tempted to do the same. Dotting Every i and Crossing every t: Paper and Pine Co.
your wedding or special event unique and tailored to you. Paper and Pine specializes in wooden signs, stationery and décor to fit any event — big or small. Special Announcement Hello everyone, we are very excited to announce that we will be transitioning to a print magazine, published quarterly. 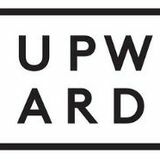 The target date for the first print issue is January, we will still publish smaller issues each month introduced as ‘Upward Mini’. These mini issues will feature the same features and editorial team and often, give a preview of what to expect in the larger, full quarterly print editions. Our intent was always to move to a full print magazine and you can expect approximately 150 pages of content which is truly global nature with beautiful imagery. Think of the quarterly magazine as a ‘coffee table piece’ perfect for inspiring and planning your next adventure. 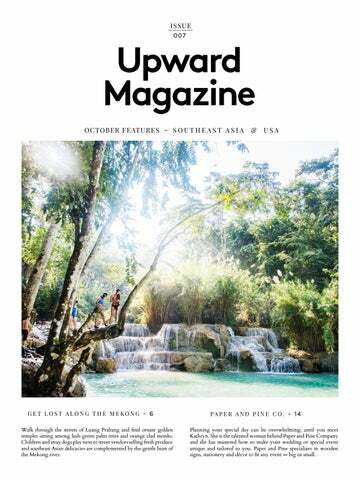 The first print issue will be set for pre-sale in October and can be mailed straight to you. To support the print transition, we are updating our website and once completed, we would love to hear your feedback. Thank you again for all of the support.